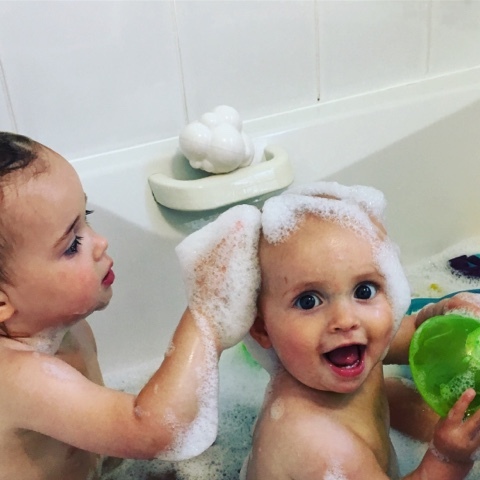 We love bath time in our house, it's something that happens no matter what at the same time each day. Ever since the little ladies were babies we have implemented a bath, book, bed routine and it's worked well for us. The girls love playing outdoors and getting stuck into arts and crafts so they always need a good bath at the end of the day. 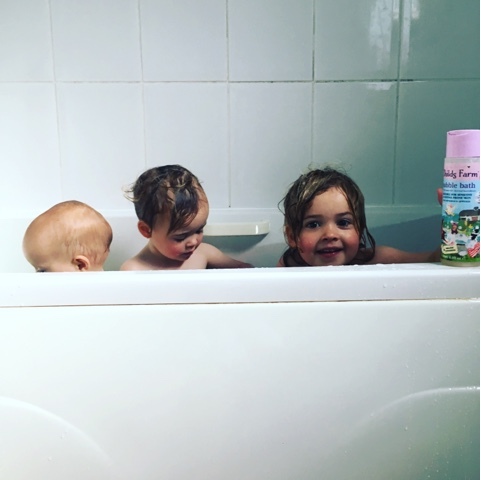 They love being in the tub together, pouring and splashing and squirting water and I'm always asked for lots of bubbles please mummy - because who doesn't like a bubble bath?! Using it in the bath that night the girls commented on how 'yummy' it smelt'. The scents are just so gorgeous, not overpowering at all and after getting the girls out of the bath and giving them a cuddle in their towels I just wanted to sniff them! 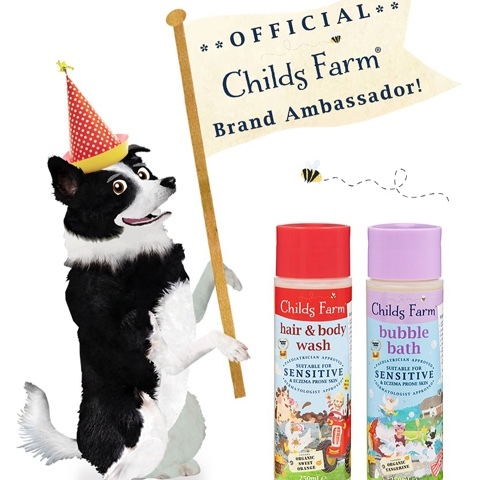 Their skin felt so soft and lovely, I was so pleased and have been using Childs Farm ever since. 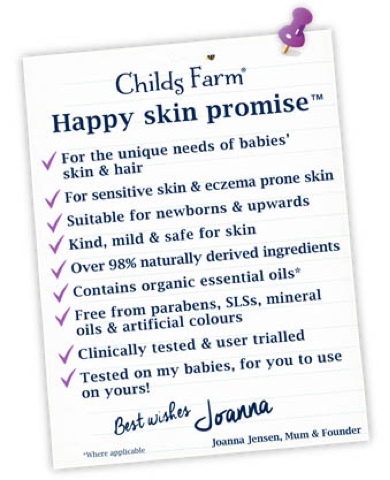 Their happy skin promise gave me such confidence in the brand and we have since added shampoo, conditioner, moisturiser, nappy cream and sun cream to our Childs Farm collection and I now don't buy anything else. They have won loads of awards and once you've used their products it's easy to see why. 1. Raspberry bubble bath 500ml - I love the size of these big bottles, they last ages and are so easy to dispense, but most of all the bubbles smell divine. 2. Strawberry and Mint Shampoo - It leaves the girls hair gorgeously shiny and a little goes a long way. 3. Strawberry and Mint Conditioner - The girls have quite thin flyaway hair and like all children are not a fan of having their tangled tresses brushed, this eliminates all that and leaves their hair super soft. 4. Grapefruit and Tea Tree Oil Moisturiser - My favourite thing about this is that it's not sticky, we use once a week all over to give the girls skin a little drink, it's really light and smells so fresh. I also love the easy to apply and dispense with the pump action nozzle. 5. 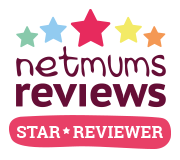 Nappy Cream - It's so gentle, compact so fits in my nappy bag easily and most of all it soothes sore skin brilliantly. 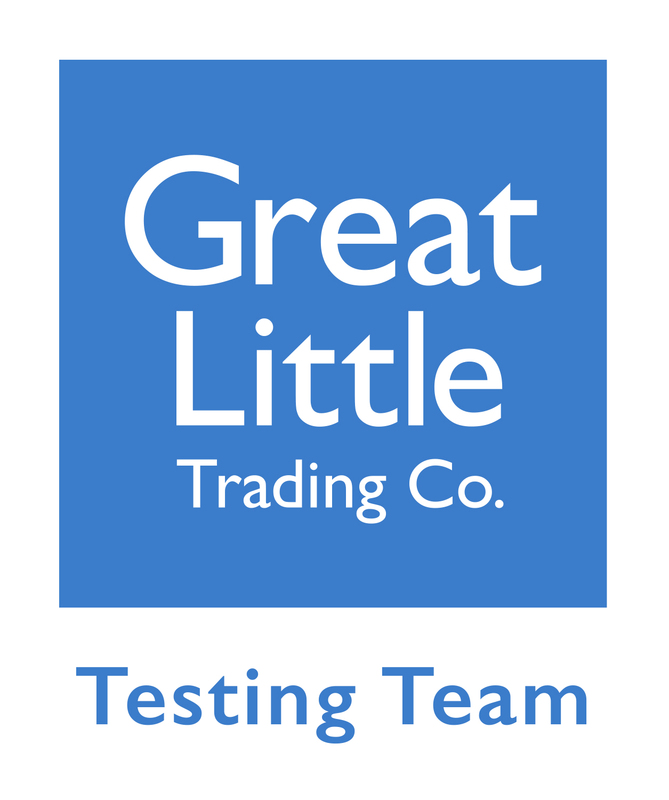 As well as this they also have a complete range of baby products from baby wash to baby oil. 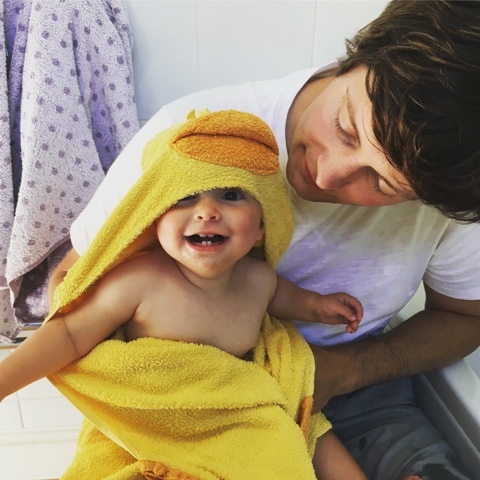 Wishing you and your littles a happy bathtime!